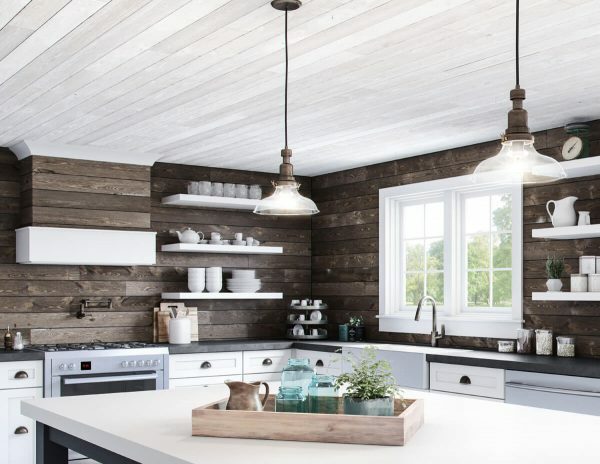 The clean, casual style of vintage shiplap. 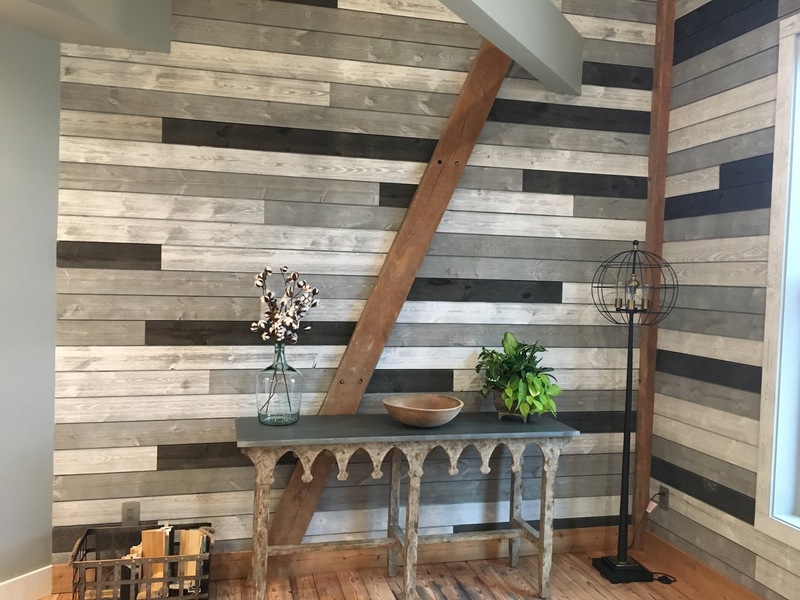 Bring the laid-back style of vintage shiplap interiors to your space, without the high cost and environmental hazards of using reclaimed wood. 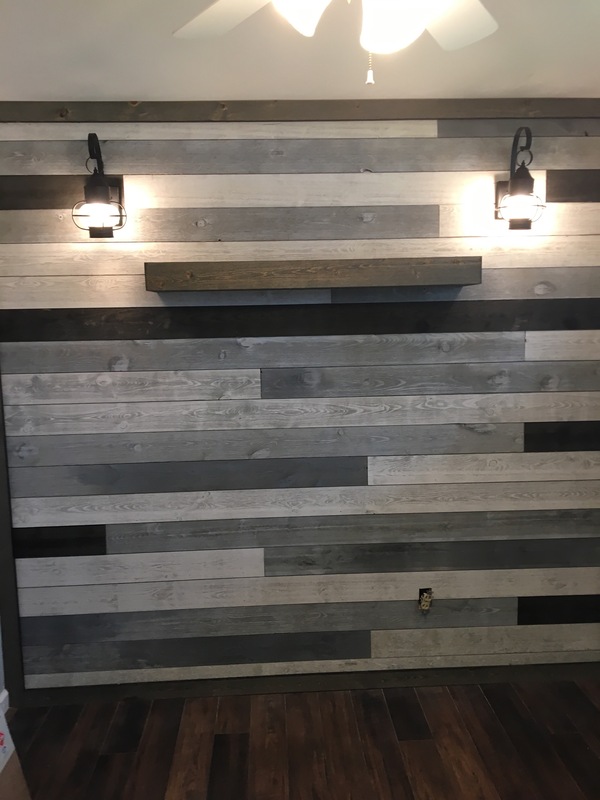 This rough-hewn, prefinished planking with characteristic 1/8” nickel-gap between boards faithfully recreates the look and feel of authentic shiplap. Extremely versatile, our ShipLap Collection brings subtle beauty to walls, ceilings, wainscoting, accent walls, fireplace surrounds, backsplashes and more. 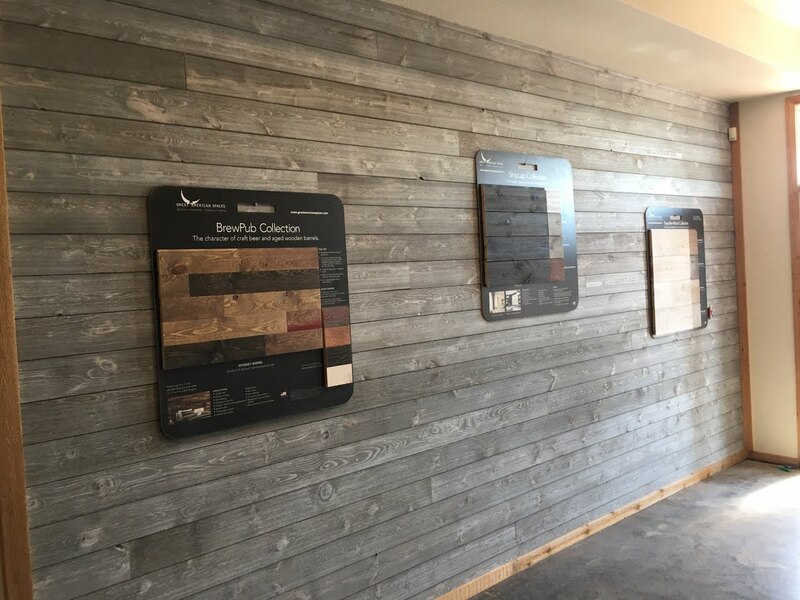 What makes the Great American Spaces ShipLap Collection better than our competitors? 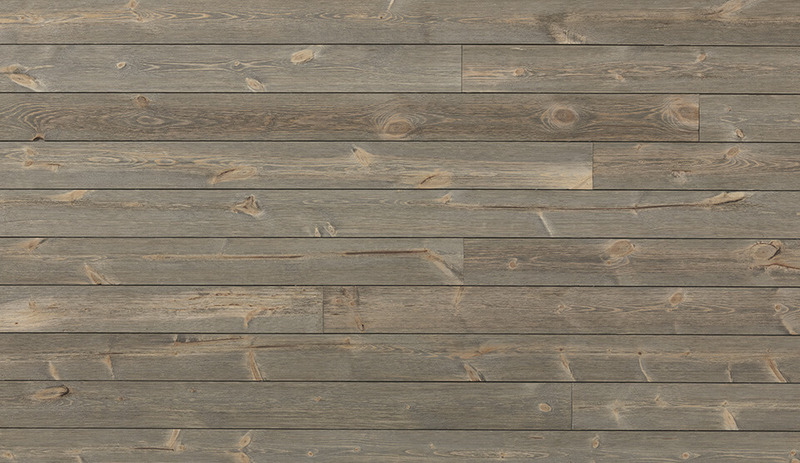 It is milled with a shiplap edge so the surface behind the planks does not peek through, regardless of change in seasons and humidity. 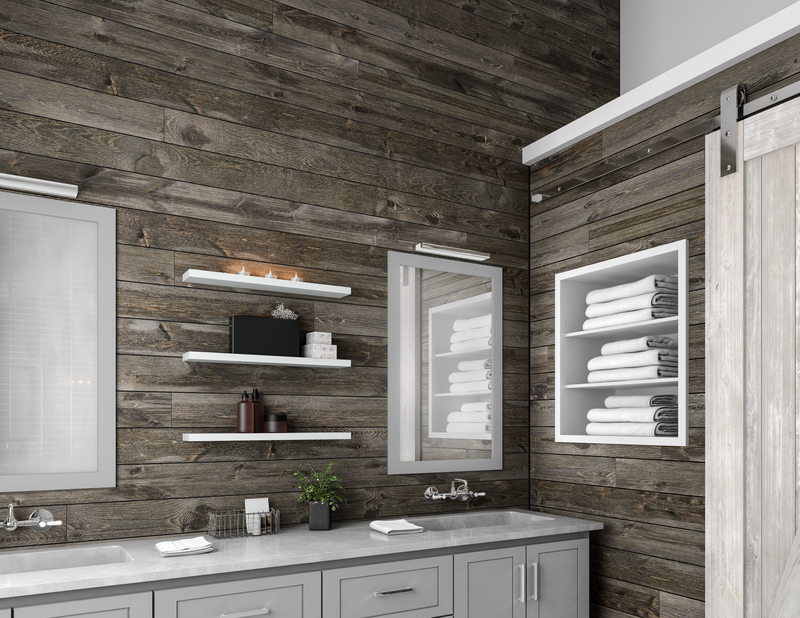 Our proprietary pre-finishing process brings the laid-back style of vintage shiplap interiors to your space. Can ShipLap be installed on ceilings? Yes, our ShipLap can be installed on walls and ceilings. Follow installation instructions found in the Installation Guide tab above. 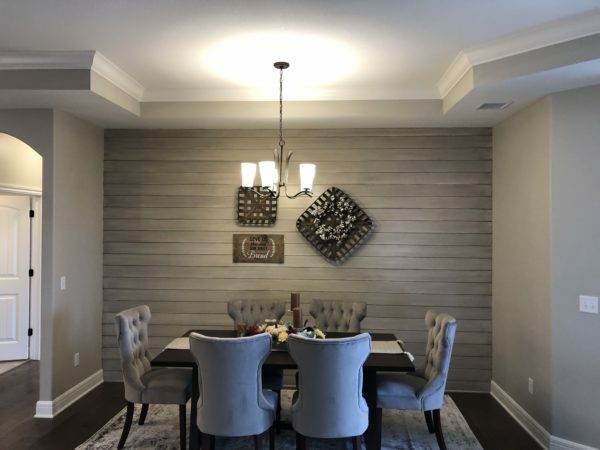 Can ShipLap be installed on fireplace walls? Always follow local codes. 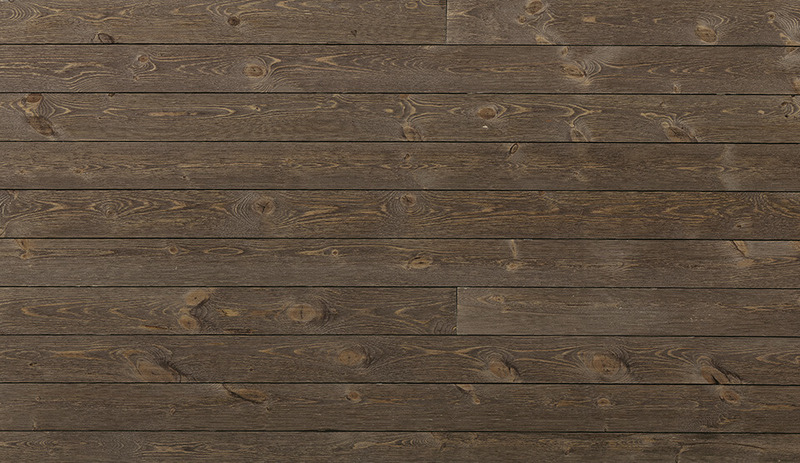 As long as the immediate surrounding of the fireplace opening is non-flammable, our ShipLap can be installed around it. 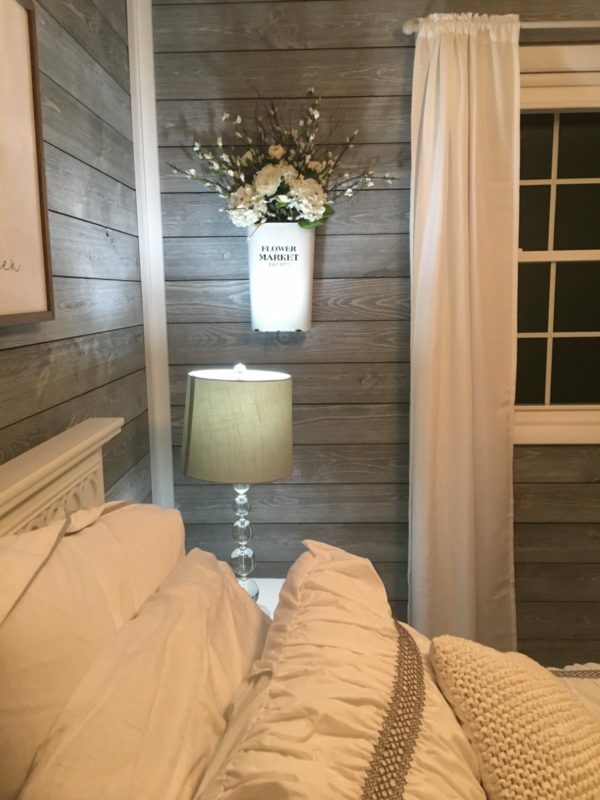 Is ShipLap raw pine or is it pre-finished? 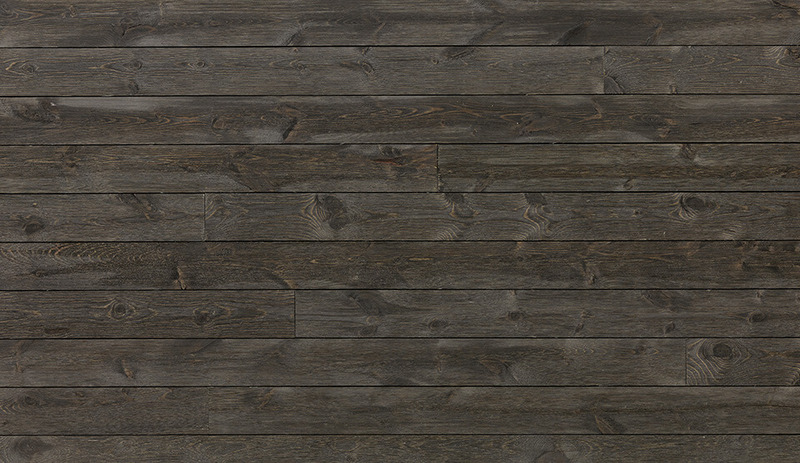 Our ShipLap is pine that is prefinished in 5 color options. 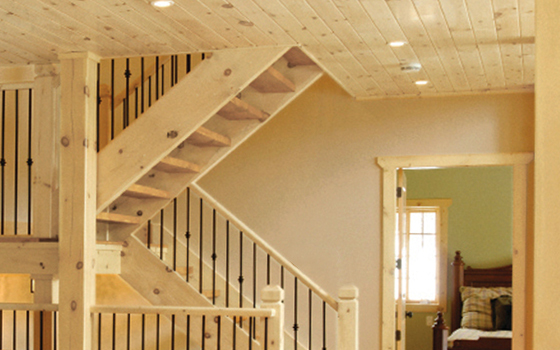 There is no need to hire a contractor to paint/stain. 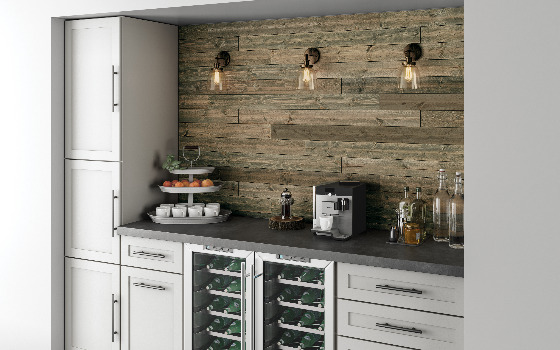 Simply install the product according to the installation instructions found in the Installation Guide tab above and your project is complete. 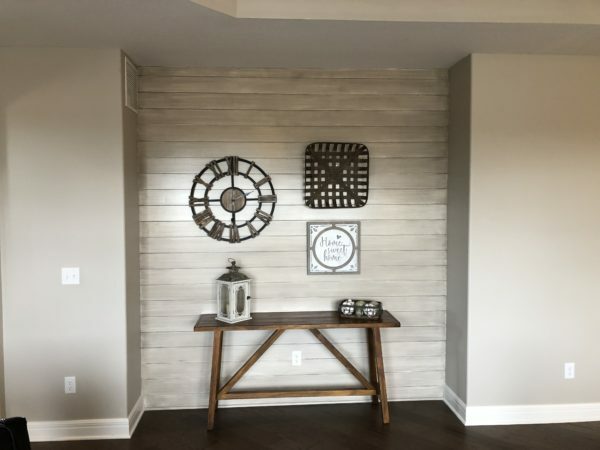 Can ShipLap be installed directly to the studs and skip the drywall step? 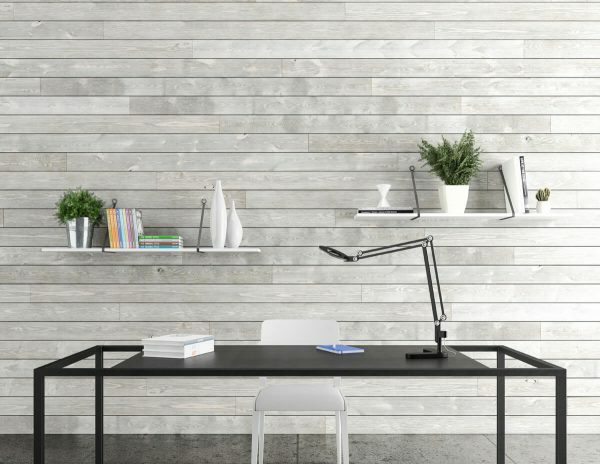 Yes, with our shiplap edge, the surface behind the planks will not peek through, however certain municipalities still require drywall in order to meet local building codes. 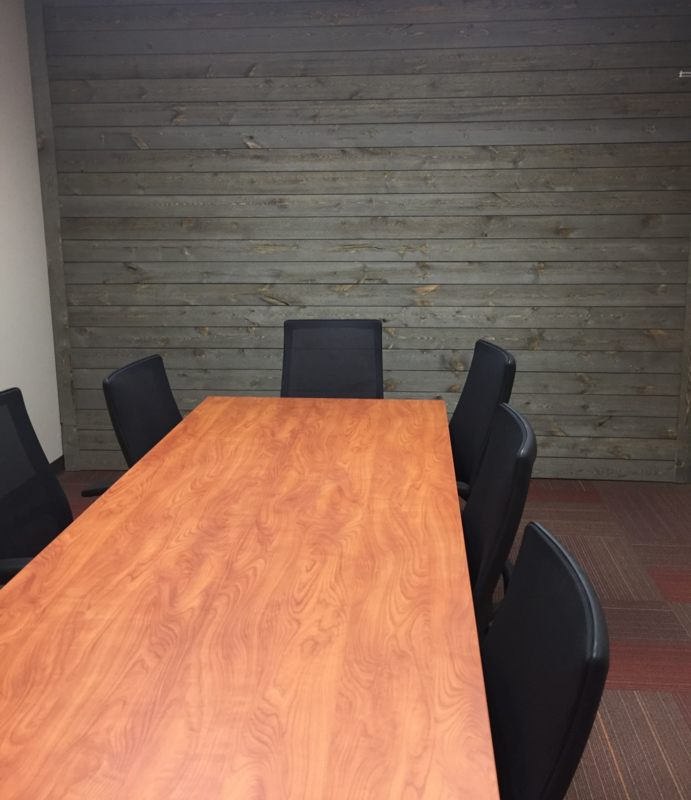 Can ShipLap be installed directly over my drywall? 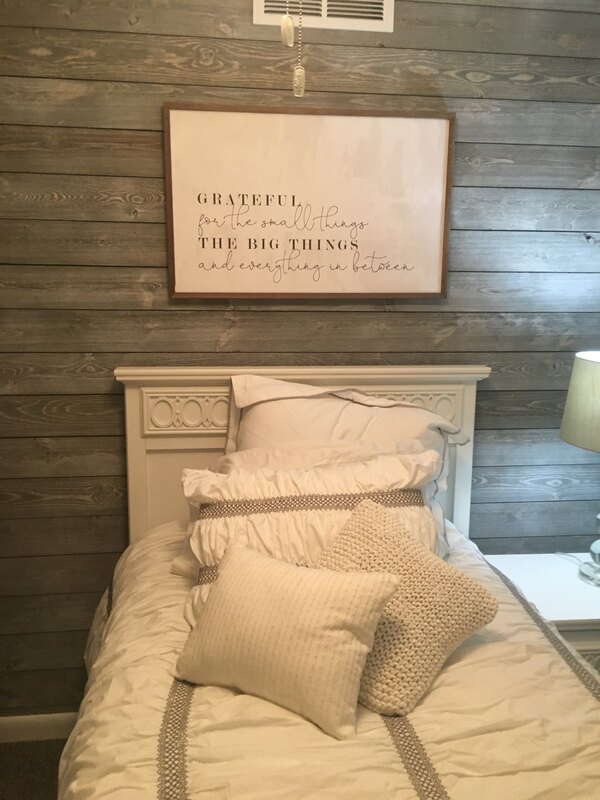 Yes, but our ShipLap is 5/8 in thick, so you need to take into consideration your interior window and door trim so as not to lose the shadow line if it has thin reveal. Installation instructions can be found in the Installation Guide tab above, with nailing directly into studs as the recommended installation. 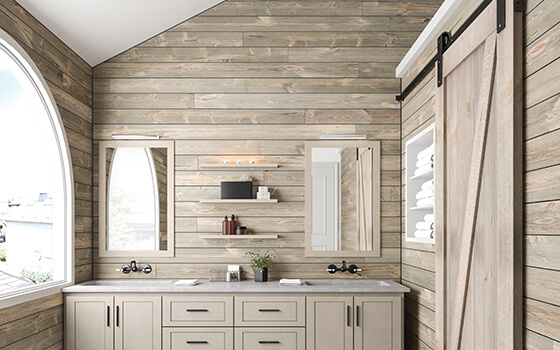 Does Great American Spaces offer a product warranty on ShipLap? 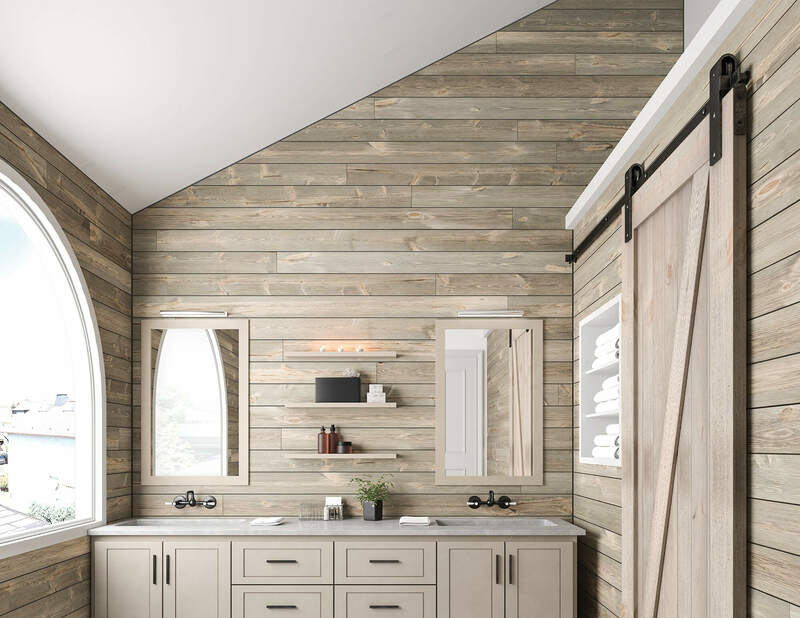 Does ShipLap require maintenance when used inside? 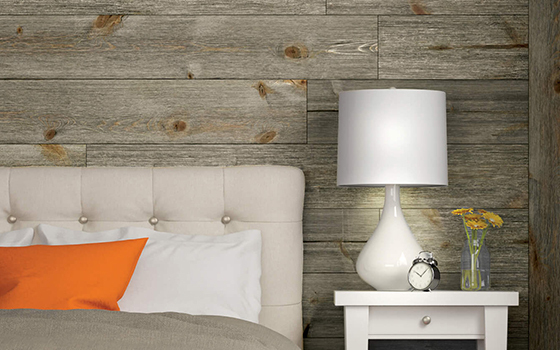 Our ShipLap is a low-to-no-maintenance product when used inside. 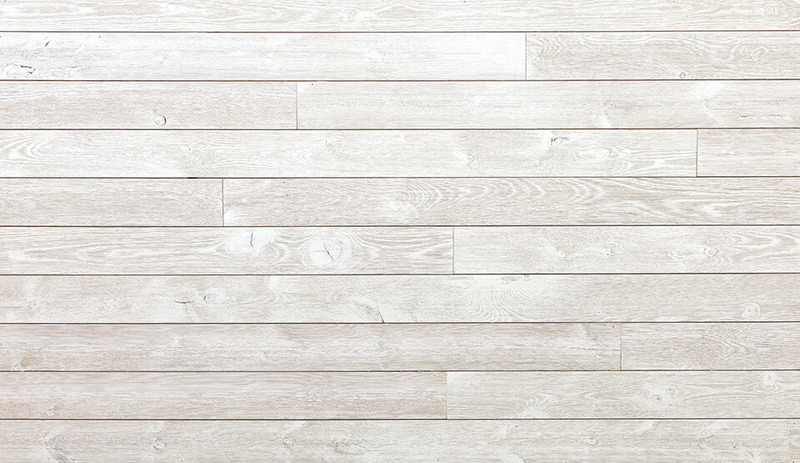 As with all wood products, you will experience slight color change over time. 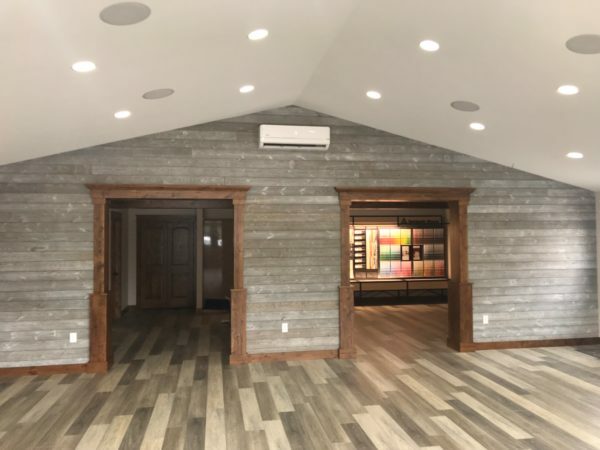 Can ShipLap be used as siding or in other areas that are exposed to the weather? 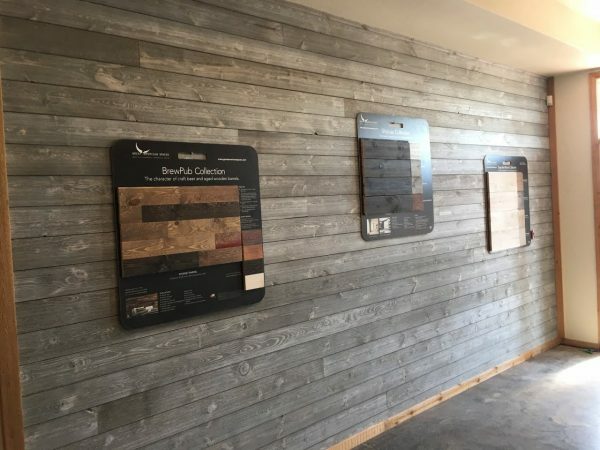 No, our ShipLap is not recommended for exterior siding or areas exposed to the weather. Where can ShipLap be used? Our ShipLap can be used on dry porch ceilings, interior walls and ceilings, wainscoting, fireplace surrounds, accent walls, bar wraps and more. It’s not intended for use on floors, exposed outdoor surfaces or in areas with high humidity or contact with water. Yes. The trim comes in 8 ft lengths. The actual thickness is 11/16 in and the width is approximately 3-1/2 in. Can ShipLap be installed both vertically and horizontally? 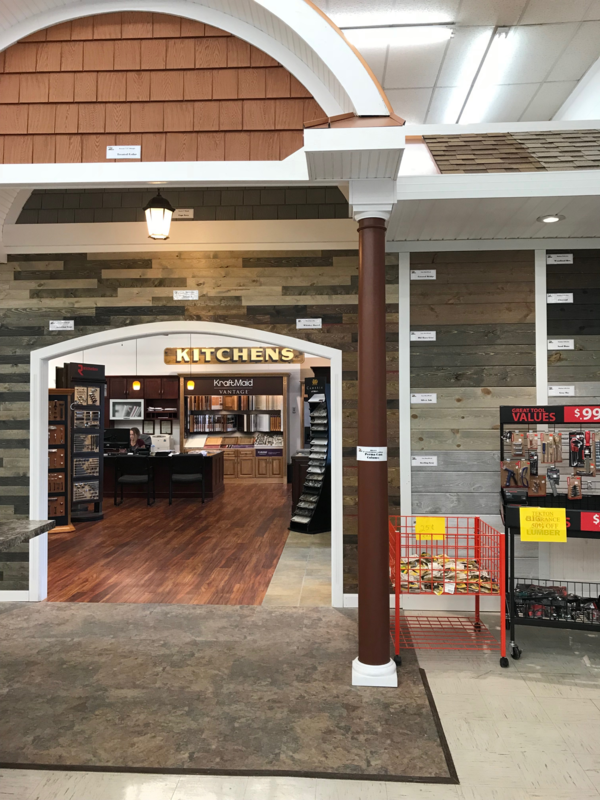 Yes, our ShipLap can be installed both vertically and horizontally, according to your preference. 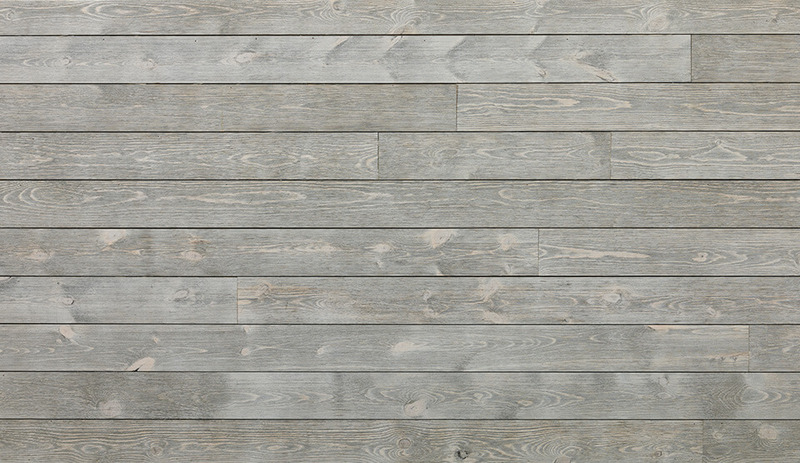 What is the best way to clean ShipLap? Due to the 1/8 in nickel gap spacing, vacuuming with a soft brush attachment will do the most thorough job, although dusting with a soft cloth would work too.